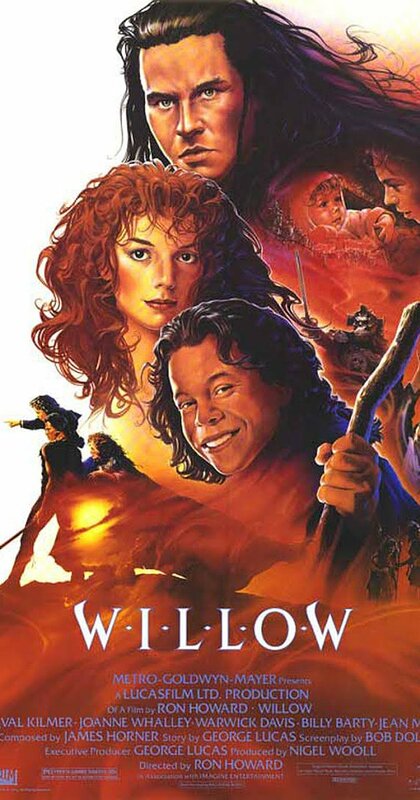 Willow came out in 1988, the year I turned three. Despite its 48% score on Rotten Tomatoes, it will always be my favorite movie—surpassing even The Lord of the Rings (and for those who know me, that’s saying something). According to DVD extras, Willow may have been George Lucas’s attempt at a hobbit-like story, and there are similarities—but that’s not why I fell in love with it. Let me tell you a story. Imagine being three years old and being different than mommy and daddy. Imagine being different than the kids at school. Imagine being different from everyone you’d ever met. While you weren’t uncomfortable with your difference, you weren’t exactly comfortable with it either. You were on the cusp of awareness. Imagine mommy saying, “we’re going to the movies today,” and getting all excited. You head down to the two-dollar showing at the Terrace Theatre in Robbinsdale. Mommy sneaks in a bag of puffcorn so you don’t choke on regular popcorn kernels and the movie starts. The movie opens with a scary witch-lady and a tiny baby. The witch-lady wants to hurt the baby and you ask mommy, “Why?” She says she doesn’t know, but to be quiet and watch carefully. So you do, and not a minute later you see it: a village. Onscreen there is a village of people and they are just like you. Everybody is tiny. The kids are tiny. The mommies and daddies are tiny. The old men and women are tiny. And they all have jobs and they all seem happy. We quickly meet the hero of the story: a tiny man named Willow. He is very important. It’s his job to protect the baby. As you watch the movie he makes friends and meets bad guys. Some people call him a “peck.” That’s a naughty word, which, when you are grown, you will associate with “midget”—a derogatory word for people with dwarfism (but you don’t know that word yet). This little man is super cool, and even though sometimes the big people think he can’t do things, he surprises them. In the end, it’s his magic trick that saves the baby. It isn’t until the end of the film that you speak again. Maybe you say “wow,” maybe you say “more,” but needless to say the film has stuck with you ever since then. That was me at three years old. That movie was my first introduction to other people like me. 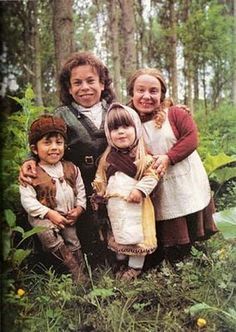 That movie led my mother to seek out an organization called the Little People of America, or LPA for short. The founder of the LPA was Billy Barty, a renowned actor who happens to play the village elder in Willow. This organization formed my early years. It led me to knowledgeable doctors, education, and support. Willow has a positive message to all people who are different, but especially so to people with dwarfism. In this film, little people get to play people. Not goblins, not creatures, but people with hopes and dreams like everyone else. This movie shows the determination and struggles that come with being a little person in a big person’s world. Most of all, the message that Willow sends to people who may be different is to believe in yourself, and who knows, maybe you will change the world. So, if you’ve never seen this movie, give it a shot. And if you’ve seen it before, watch it again with new eyes. Watch it with the eyes of a child whose world is being expanded. Watch it with the eyes of someone realizing that they are not alone, and maybe then you will see why it’s my favorite film. Interestingly, in my 2014 Fringe play ‘Principia Discordia’ a little person saves the day with a trick not unlike Willow’s, and inspired by it. My actress for that role was simply amazing.